Home > Speakers > Susan Little D.V.M. 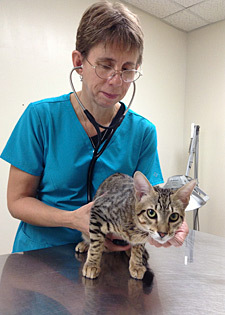 Dr. Little is board-certified in feline medicine by the ABVP and owns two feline only practices in Ottawa, Canada. She is the 2015 president of the AAFP and is the past president of the Winn Feline Foundation. Dr. Little has been extremely active in feline associated organizations including her recent stint on the 2013 AAFP Feline Vaccination Guidelines with Dr. Michael Lappin. She is also active in feline research and has recently focused on studying FeLV and FIV infections in North and South America. Dr. Little is an excellent speaker and was named one of the 2013 North American Veterinary Conference speakers of the year.